Ben Paoletti is a government affairs intern at Illinois Policy’s Springfield office. Before joining the team, he worked as an intern for the mayor of his hometown in Batavia, Illinois. 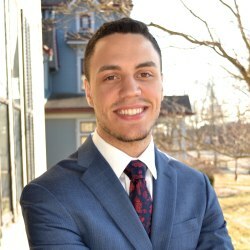 Ben is a sophomore at the University of Illinois, Springfield where he is completing a bachelor’s degree in political science and philosophy and pursuing a master’s degree in public administration. On campus, he is the resident assistant of the Leadership for Life Volunteer Program, the vice president of Alternative Spring Break and a student representative for the Capital Scholars Honors Steering Committee. He spends most of his time studying political philosophy and volunteering in the Springfield community.